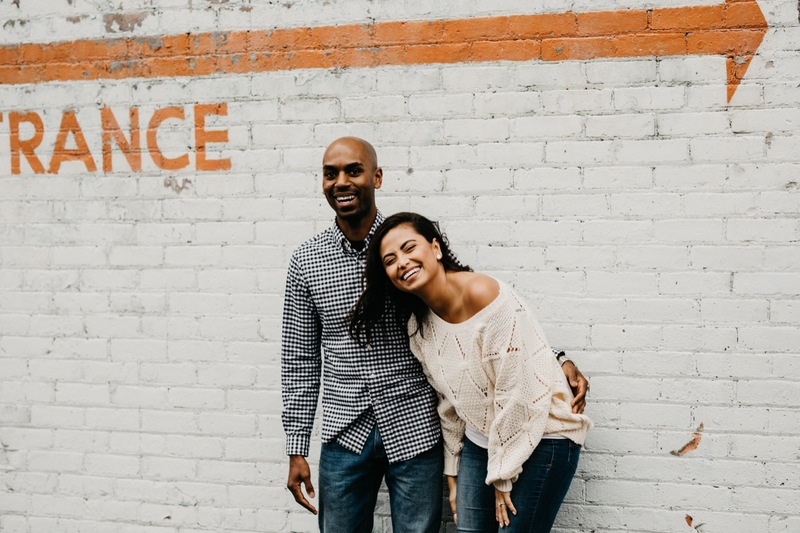 When a couple says they want to explore abandoned buildings and go to the largest bookstore in the world to have their engagement session, here’s what you do: say yes immediately. Tanya and Marcel are some of our amazing friends and when they got engaged we knew we wanted to be a part of documenting them during this special time in their lives. We started at John King Books, which is a bookstore in an amazing warehouse in Detroit. It has over 1.5 million books in 5 stories. It’s probably one of our favorite places in the world. Then we explored some of our favorite places in Detroit, we explored an abandoned building together and then we ended at one of our favorite places to catch the sunset in all of Detroit.